A point to this importance thing here, if you can’t keep the rain out don’t waste your time on the air. If you can’t keep the air out don’t waste your time on the vapor. The best place for the control layers is to locate them on the outside of the structure in order to protect the structure (Figure 1). When we built out of rocks the rocks didn’t need much protection. When we build out of steel and wood we need to protect the steel and wood. And since most of the bad stuff comes from outside the best place to control the bad stuff is on the outside of the structure before it gets to the structure. Also, after generations of building out of rocks folks somehow got the idea that they wanted to be comfortable—and they figured out that rocks were not the best insulation. I mean rocks are not that bad compared to windows—memo to architects: you can’t build an energy efficient green building out of glass, but you can get design awards and we all know which is more important. Back to rocks, they are heavy and you need a lot of them to make the wall have any decent thermal resistance so we invented thermal insulation. But where to put the insulation? If we put the insulation on the inside of the structure the insulation does not protect the structure from heat and cold. Remember we really do want to protect that darn structure—especially for the sake of making the structural engineers life more happy. Expansion, contraction, corrosion, decay, ultra violet radiation, and almost all bad things all are functions of temperature. So all the control layers go on the outside. Keep the structure from going through temperature extremes and protect it from water in its various forms and ultra violet radiation and life is good. Figure 1: “The Perfect Wall”—In concept the perfect wall has the rainwater control layer, the air control layer, the vapor control layer and the thermal control layer on the exterior of the structure. The claddings function is principally to act a an ultra-violet screen. Oh, and architects might consider the aesthetics of the cladding to be important. What about this air control thing? Well air can carry a lot of water and water is bad for the structure. So we have to keep air out of the structure as well because of the air-water thing—or if we let it get into the structure we have to make sure it does not get cold enough to drop its water. Now, just one other thing, tends to be important if you intend on living in the building or working in the building or keeping things safe in the building, we might want to control the interior environment. We especially ought to be concerned about what is in the interior air because when we are in the interior we tend to breathe it. Well, it turns out that we can’t control air until we enclose air. So we need an honest to god airtight enclosure in order to provide conditioning such as filtration and air change and temperature and humidity control. And once again the best place to control this air thing is on the outside of the structure—but under the insulation layer so the air does not change temperature. Presto: the perfect wall. A water control layer, air control layer and vapor control layer directly on the structure and a thermal control layer over the top of the other control layers (see Figure 1 again). This was figured out long before I was born—I think the Canadians figured it out first , but the Norwegians have some claims to this plus the Russians. I am going to go with the Canadians on this one because I am biased and proud of it. Also, I met Professor Hutcheon, and that is a story for the grandkids when I get some—memo to Christy and Andrew: so what’s the delay here? For a more detailed discussion of the physics of all of this go to the old masters: Hutcheon and Handegord  and the new kids on the block Burnett and Straube . In a beautiful bit of elegance and symmetry if you lie the perfect wall down you get the perfect roof (Figure 2) and then when you flip it the other way you get the perfect slab (Figure 3). The physics of walls, roofs and slabs are pretty much the same—no surprise (Figure 4). This insight was shone into a whole generation of practioners by Max Baker  when I was first getting started. Figure 2: "The Perfect Roof"—The perfect roof is sometime referred to as an “inverted roof” since the rainwater control layer is under the insulation and ballast (i.e. roof cladding). Personally I don’t view it as inverted. Those other folks got it wrong by locating the membrane exposed on the top of the insulation—it is they that are inverted. Figure 3: "The Perfect Slab"—The perfect slab has a stone layer that separates it from the earth that acts as a capillary break and a ground water control layer. This stone layer should be drained and vented to the atmosphere— just as you would drain and vent a wall cladding. Figure 4: A Wall is a Roof is a Slab—The physics of walls, roofs and slabs are conceptually the same. Notice in the perfect roof assembly the critical control layer or membrane for rainwater control and air control and vapor control is located under the thermal insulation layer and the stone ballast (i.e. “roof cladding”) so that it is protected from the principle damage functions of water, heat and ultra violet radiation. Arrhenius* would be proud. Why we put the most critical control layers on roofs on the very, very top where they can be trashed by these damage functions never fails to amaze me. Yes, I know, they are easier to replace when they are located there. Standard answer for our disposable, unlimited resource available society. Most problems in building enclosures occur where roofs meet walls. The classic roof-wall intersection is presented in Figure 5 (will both credit and apologies to Max Baker). Notice that the control layer for rain on the roof is connected to the control layer for rain on the wall, the control layer for air on the roof is connected to the control layer for air on the wall . . . and so it goes. Beautiful. And when it is not so…ugly. Figure 5: "The Roof-Wall Connection"—Notice that the control layer for rain on the roof is connected to the control layer for rain on the wall, the control layer for air on the roof is connected to the control layer for air on the wall…and so it goes. Figure 6: "The Institutional Wall"—The best wall that we know how to construct. Works everywhere in all climate zones. It is the type of wall that you use for special buildings. Buildings that are passed down from one generation to the next. Museums, art galleries, courthouses, libraries. I call this wall the “institutional wall.” It is sweet in that it can be constructed in any climate zone. The only thing that may be changed is the level of thermal insulation. My advice here is very simple: what ever you think the right amount of thermal insulation should be double it and shut up. If you love your kids don’t argue with me. A clever version of this first wall is where spray-applied closed-cell high-density foam is used to combine the four principal control layers in one material (Figure 7). The second wall should be the “meat and potatoes” wall for commercial buildings. The wall every commercial building should use. The base wall that our infrastructure should depend on. So, no surprise I call it, yes you guessed it: the “commercial wall” (Figure 8). It has a conductive structure—metal studs. All of the insulation should—and must be located on the outside. It is a thermodynamic obscenity to insulate within a conductive structural frame. Again, you can build it anywhere in any climate location. Just consider the insulation levels (see above—particularly the part about loving your kids). The third wall is the “residential wall” (Figure 9). Notice the structural cavity is insulated. That is because we are using a relatively non-conductive structural frame—the structure is wood and wood material based. Wood is not particularly conductive— that is why we do not have wood frying pans. For this third wall to work almost everywhere (except Alaska and north of Flyn Flon** where we would not insulate even within a relatively non-conductive wood structural frame) we would split the thermal resistance of the insulation on the exterior of the structural frame with this insulation within the structural frame at least 50:50. So in an R-20 wall—at least R-10 or more on the outside of the non-conductive structural frame. And no vapor barrier on the inside of the assembly. Repeat after me, no vapor barrier on the inside of the assembly. We want the assembly to dry inwards from the control layers—and to dry outwards from the control layers. Always. Everywhere. Figure 8: "The Commercial Wall"—The almost best wall we know how to construct. Affordable. Works everywhere in all climate zones. 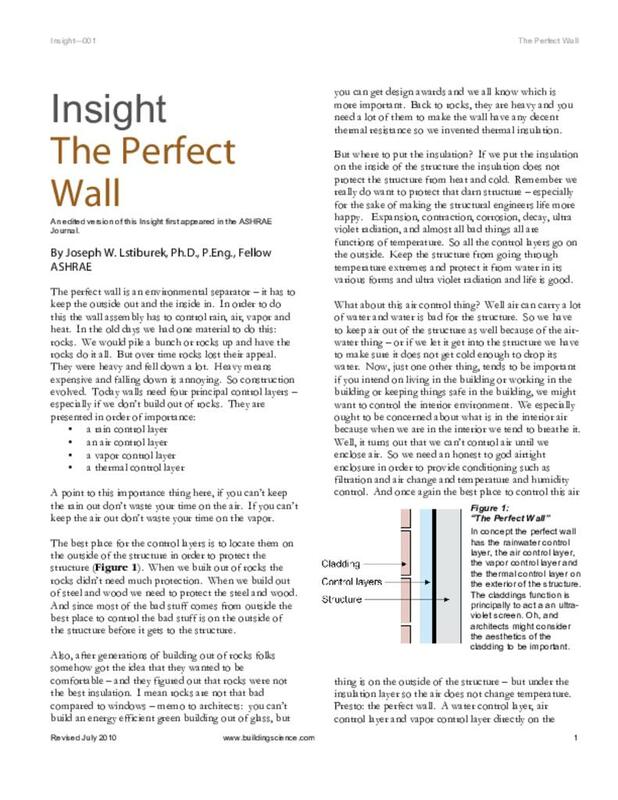 Figure 9: "The Residential Wall"—The best residential wall we know how to construct. Not cheap. Works almost everywhere – except in extreme cold climates where we would not insulate within the wood structural frame. * Dead, Nobel Prize Winner, no longer fashionable to study. ** Home of Bobby Clark, hockey legend, no teeth. (1) Hutcheon, N. B., CBD-50 Principles Applied to an Masonry Wall, Canadian Building Digest, National Research Council Canada, Ottawa, Ontario, Canada, February 1964. (2) Hutcheon, N.B. and Handegord, G.O. ; Building Science for a Cold Climate, National Research Council of Canada, 1983. (4) Baker, M.; Roofs, Multi-Science Publications, Ltd., Montreal, 1980.